Last year, on second week of March 2017 precisely (yeah, it's obsolete) I went to Iceland. It's still cold with minus temp at night (yes, it's cold, I'm Indonesian), still snowy along most of the ring road, very windy for sure. I was with friends, we were hunting the ticket for almost a month. For this trip I become a member of Wizz Air, which I avoided since I got here. It's the cheapest direct flight we could get from Warsaw (but then we actually need to go to Budapest first, because we missed the cheap price from Warsaw). There are some low-cost airlines to get to Iceland such as easyJet if you're flying from around UK, Wow Air from Netherland or France or from Scandinavian countries, Wizz Air from Poland or Hungary. Icelandair offer layover in Reykjavik if you travelling from around US to Europe. Most flight from Asia will choose stop over at Denmark or Sweden then continue to Iceland (at least that's what I read). Base Layer. For tops I brought 4 of them (I guessed I wouldn't sweat so I can use them more than once). I got 2 heattech and 2 merino wool. For bottoms I got 1 heattech, 1 longjohn and 2 merino wool. Midlayer. For tops I only bring 2 half polyester-half fleece sweater (I ended up bought lopapeysa. It's kinda waterproof and windproof and surprisingly warm. I sometimes wearing it in sunny winter yet still cold in Warsaw whenever I don't want to use jacket). Outer. I bring 2 windproof and waterproof jacket. One of them actually is kinda insulated one. For bottoms I had 1 windproof trouser with polyester lining, 1 waterproof trousers and 2 jeans (yes jeans!). That waterproof trouser very useful if you want to visit Seljalandsfoss. Socks. As much as I can tucked in my luggage. I bring probably 3 pairs, 1 contains several percent of wool so it's kinda bulky, others are polyester or merino wool. Hat and scarves. I brought only 1 acrylic hat, 1 acrylic and 1 cashmere scarves. Gloves. I brought 3 gloves. A touchscreen merino wool gloves (it's the most essential one because I need to access my cellphone anytime), a 80% wool gloves and a polyester one. In the end I use the merino and wool more often. Shoes. I wore a nubuck leather boots with sheep's wool lining. Warm? yes... but if you want to do the glacier hiking without renting shoes, it's probably worth to wore hiking shoes. But if you still need that stylish boot, hiking boots are available to rent on your tour, just ask when you're booking the tour. It's cost me 1500 ISK for the glacier walking tour. Basically I still got cold at night when looked for aurora, because of the wind. For photos. Mobile phone! I had smart battery case for my iPhone but still it's not enough for the whole day, cold temps drains your battery faster. Any camera with manual setting (I brought my old Rebel T3), tripod a must if you're planning to take pictures of aurora, I brought extra batteries for my camera too. I remember I ever wrote something about my crazy to do list before I died 8 years ago. It's crazy because I don't think it would be checked, not even one item. So it's remind me that I was enchanted with aurora from long time ago. Reykjavik was 16.819 km from where I was that time, it take 2.921 hours on foot which of course impossible for me to do and more than 21 hours by plane which the ticket price would be insanely expensive for me. Yet 8 years after I made the list, it's the last item on the list because I was pretty sure it would be the hardest thing to accomplished, I saw that green light dancing with my bare naked eye, the aurora borealis. If the aurora borealis is your main purpose why you visit Iceland... it's better not to give a high expectation because it's very depends on the weather. But then, whenever the sky is clear, get out, look for a dark place, as dark as you can get, because there will be a chance for aurora to be seen even the aurora forecaster said is low. If the aurora activity is high but the night is cloudy, the chance will be smaller. For the aurora forecaster in Iceland it can be checked at en.vedur.is. One of the reason why I choose Iceland for the aurora because there are lot of fun things that I could do that will still make my trip great even without the aurora and it's cheaper (no way! Iceland couldn't be a cheaper destination, it's surely expensive) other than any those places in Scandinavian countries. Landing at KEF to get to Reykjavik, you can take a public bus, the schedule can be seen in straeto.is. They even have the app both for Android and IOS and the app got Live Map telling you where the buses are, cool isn't it? The price will be 1.840 ISK (around US$18). You can buy the ticket from the app (the most convenient I guess) or from the 'vendors' or from the driver (only for bus running outside Reykjavik) or you just can get one or three day pass card. If you're using the bus inside Reykjavik it'll need 1 ticket cost 460 ISK, travel to outside Reykjavik the cost will depend on how many payzones the bus get through. Bus from KEF to Reykjavik goes through 4 payzones so it cost 460 ISK x 4. It will be another problem if you need to change the bus, there is this thing called exchange ticket that you can ask from driver. But I don't really know how it works because I don't use this public transportation. I took Flybus from KEF to BÍS, Reykjavik bus station. It cost 2.700 ISK one way or 4.900 return if you buy online. They offer to drop you in front of your hotel/apartment (the list of the hotel/apartment can be seen in their website) and the cost will be 3.300 ISK one way. From my economic view, I'm fine with BÍS then took bus or just walked to the apartment. So we're rent an apartment with 2 bedrooms in Grettisgata for about US$220 per night (I could say this was cheap), just 1 block from that famous Laugavegur. A lovely one but unfortunately they're not renting the apartment anymore. We were not able to book any tour for the next day so our AirBnB host gave us a number of his friend that could drove us to whenever in Iceland. Basically were went to the palces where the tour took tourists the most and of course he gave us a lots good tips and good conversation. I kinda like it this way than get from tour to tour because we had lots of time in one place but of course less place to visit but I can really enjoy the place. So our second day, cost us 65.000 ISK for the 3 of us in a Land Rover, we hit the Golden Circle. It's a sunny day with full power of wind. I don't have any words for these places so I'll just show pictures. Those places are b.e.a.u.t.i.f.u.l. that you need to see them by yourself. We even met that friendly famous Icelandic horse! We got back to town around 7PM and continues the adventure of the day at 9PM looked for the aurora. We got the aurora somewhere in our way to Þingvellir (I remembered the way), but then made a stop at Kerið Crater. That's where I got my first shoot of aurora. Yes we were like children got our candy when we were first saw it. We were still in the car, drove, can't hardly wait to get out. We save landed at the apartment around 3AM, we wanted stay longer but of course, we're not the one who drive, he need to end this because we had another plan for the next morning, that then we cancelled, because as passengers we just to tired to do the glacier walking. So we spent the next day in Reykjavik. Hunted for souvenirs, food, and photos. For the food... you can a get lot of delicious food in Reykjavik. There are a lot of restaurants. Some of them have menu like fish of the day, it's depends on what kind of fish that they have, but this one, a recommendation from our Icelandic guide, that I like the most. It cost only 1500 ISK, you got a bowl of lobster soup, few slices of bread and of course icelandic butter, Smjör. There are a lot of fishes that we can try or shrimp they even have shark if you'd like to try. It's in Sægreifinn, see my review here. About Smjör, I don't know why, but I like it very very much that 1 Smjör that comes with the lobster soup isn't enough for me. For the glacier walking, I had a great first-timer experience. I did it with Icelandic Mountain Guides, my review and some photos can be seen here. It was in Sólheimajökull, the view was breathtaking! Before the walk our guide taught us first how to use the crampon my ourself and how to walk with it. We were used some kinda ropes, first I wasn't aware what is that for, it turned out for our safety when we saw moulin or the glacier mill. Our guide had a short stop to fill his tumbler with fresh water from the glacier (and I followed him, free and fresh water from the nature, what a yeay!!!). *the story will be here in the next few lots of days. Do You Have to Print Your Train Ticket? If you do have the chance, it will be better if you print it. Pendolino/Express Intercity Premium (EIP), this would be the fastest train, with maximum 250km/h speed. It connects most big cities in Poland like Kraków, Katowice, Gdansk, etc. If you have 1st class ticket you'll get free drink and snacks and only drink for 2nd class ticket. 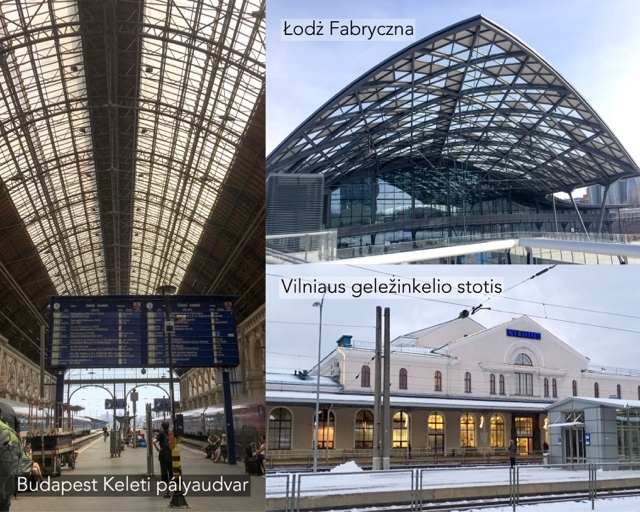 Express InterCity (EIC) with 160km/h speed, connects most of big towns in Poland and international routes to Prague, Vienna, and Berlin. InterCity (IC) fast train connects most of cities in Poland. Twoje Linie Kolejowe (TLK) or Your Railway Lines. When you are looking for a cheap train to hop on cities in Poland, this will be your choice. It has more stopovers than IC, but sometimes you'll find it's the only train you can choose to reach a destination, like a-direct-morning train from Warsaw to Zakopane. It has sleeping cars for night travel. EuroCity (EC) and EuroNigth (EN), offering international route from Poland, travelling under EIC and IC brand. All tickets that offer in Poland are include seat reservation. So you will have your seat number and wagon number printed in your ticket, not like in Germany, for example, they have reserved and unreserved seat ticket. EIP and EIC brand offers Wi-Fi on board powered by T-Mobile. When I try the Berlin-Warsaw Express, the wi-fi works well only at Poland side (either the train departed from Berlin or Warsaw). When I travelled from Prague to Warsaw, the wi-fi works fine at Czech side, and it got slower after getting in Poland. It's very different with the wi-fi facilities I got when I travel from Budapest to Prague, it worked all the way long. If you buy ticket like at least a week before, you'll get cheaper price than buying it online in D-2 or D-1, or the D day at the station. For TLK, IC and EIC, you can buy ticket from the officer on the train. Buy it before the train leaves the station. When he approach you first when train leaves, you'll be fined. Online selling ticket only for domestic routes. For international trip, you'll need to buy it at the ticket office. You can buy roundtrip from and to Poland, and oneway ticket from Poland. You cannot buy ticket from Prague to Poland in Poland, you'll need to buy that in Czech or through Czech Railway online website. I've been travelling throughout Poland with intercity train, whether with Pendolino, EIC or IC. Most of the time, I didn't print my ticket because once I forgot and it was okay. So it became a habit. When I travelled to Berlin, I always bought the ticket from the ticket office, then I always had my printed ticket. I bought Prague-Warsaw ticket online. All my online tickets (bus, train, or plane) always had caution that I should print it anyway, but I never. I always had my mobile ticket or pdf form ticket in my phone with the thought it will always be scan-able even if it's in my phone. 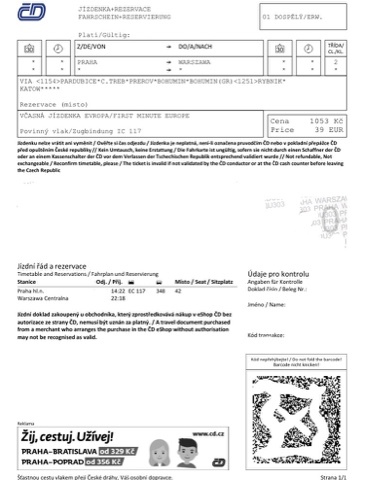 So with this pdf form ticket in my phone I successed pass the ticket check twice in Czech side. When I entered Poland's side the ticket officer ask for my paper ticket. After explaining that I don't need to show my paper ticket when I'm in Czech, seems it didn't help me. So he urged me that I have to pay another ticket. I was in Katowice already, but he explain that I need to buy ticket from the first city after out from Czech, Chałupki. I thought, okay let's just bought another ticket that probably will cost me hundreds zloty since I also thought that he would fined me because it seems I'm passenger who don't have ticket. Fortunately he only costed me 65 zloty *fiuh. Don't ever think that those conversation about me explaining my condition and he explaining the rules was smooth. He speaks only Polish while I don't speak Polish. So we need a passenger to be our translator, thanks God she was so nice and didn't mind to help. 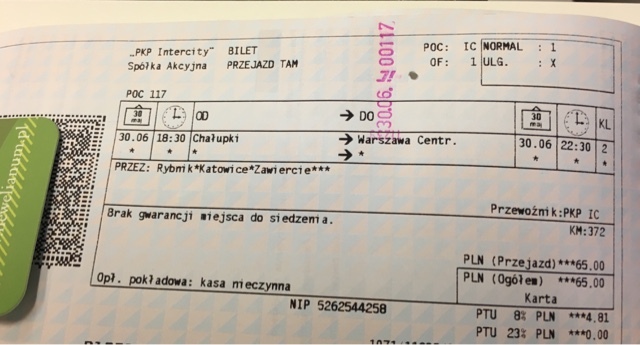 Lesson learned, from now on, I will always print my (international train) ticket (if I happened will travel in Poland's region). This is my first attempt to join this event after a complete failure last year (taunya setelah selesai). So this annual event is inspired by the same event called Lange Nacht der Museen which took place for the first time at 1997 in Berlin. Just wonder why the Centrum Nauiki Kopernik have no free admission day. 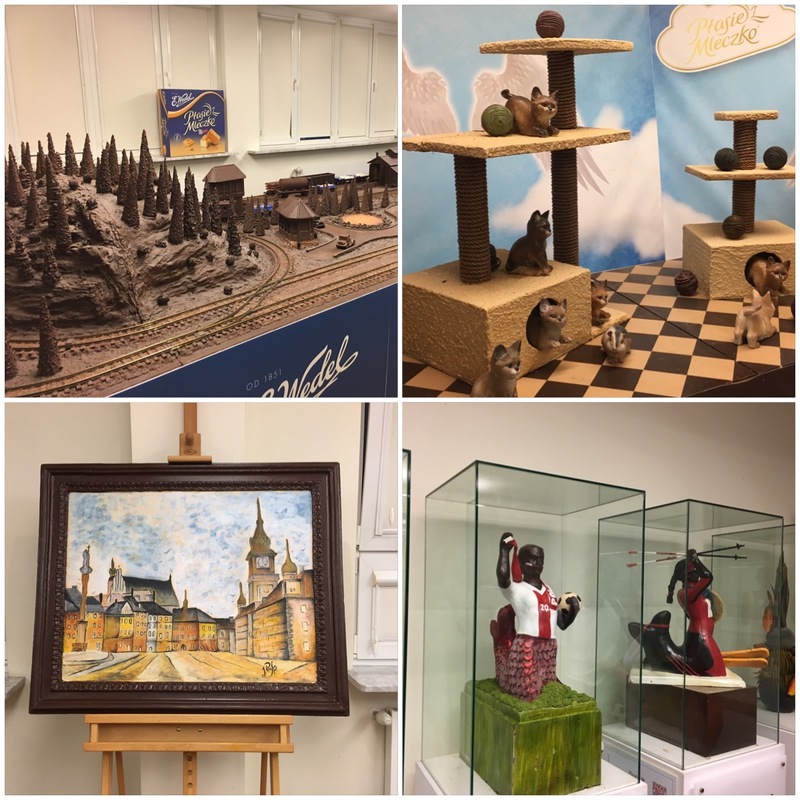 But maybe because it looks like it's the coolest museum in here (If you've seen the Fryderyk Chopin Museum and you said is cool, than you'll be curious how the Kopernik would look like) . Those are just a few percents of the total museum in Warsaw, there are others that I can't mention (or even don't know if such a museum exist, it's too many). So what makes this event attracts a lot of people every year? 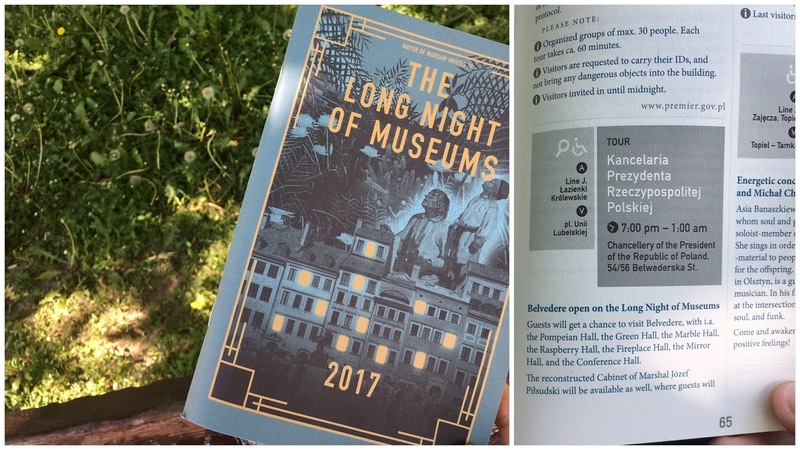 in this event, it's not just the museum that open free for public until 1 or 2 am in the next day, but also certain places that aren't open for public in any other day. So this is event probably is the only chance to get in those places. This year there are (according to the guidebook). Some start open at 6PM or 7PM until midnight or until 1AM or 2 AM in the next day. You think you can visit as many of them as possible? 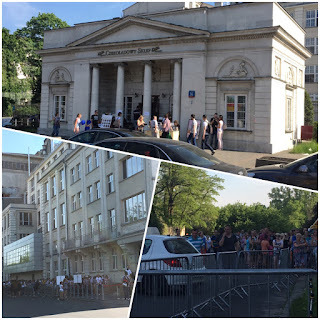 So, again, a reminder, this event atrracts so many people, even for Polish. So you'll get stuck in a long queues in almost every place. You may even end up queueing for about 2-3 hours or more at favourite places (I even heard there are some spending 5 hours!). So, advices: choose 2 or 3 places that you really want to visit and the most important thing is GET THE GUIDEBOOK (hardcopy or softcopy since they're provided the download-able version) ASAP!!! My mistake this year that I've planned to get the guidebook at the D-Day, since I already know where to go. But I end up felt sorry for myself after queued for almost 3 hours. So this year I've planned to visit the Wedel Chocolate Factory (see this kinda factory only open for public 3 times in a year, or that is the info that I get, all I know it's definitely open at this event). The factory apparently gave free tickets via their Facebook page and their website. If I have the ticket, I'd only need less than 30 minutes before got in the factory. And.... the factory was already open at 12 noon.... and I got there almost 5 in the afternoon. What is more devastating than knowing that. So after long waiting, I can eat chocolate as much as I want... but I didn't... I have to remind myself as an adult to not compete strongly with other children when the factory allowed us to take chocolate as many as we can. So 2 bars of Pawełek and few of filled milk chocolate got into my pocket and I think I managed to eat few pieces of their filled chocolate bars before we were heading to the factory. 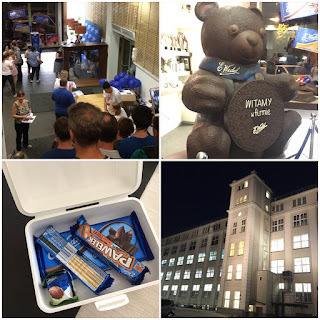 Wedel is the oldesst chocolate brand in Polish, started in 1851 by Karol Ernest Wedel, a Germany. The icon of the chocalte itself is actually Emil Wedel's signature,the son. This building is the second factory that the Wedel built in Warsaw. In WWII the factory only produced chocolate for Germany. Long short story, Cadburry owned the chocolate until 2010, it goes to LOTTE. The famous product of Wedel (their flagship product that has been awarded many times for its taste) since 1936 even until now is Ptasie Mleczko, a Wedel chocolate that covers marshmallows. Up till now there are 8 varians and an addition 2 varians of Delcino only for this product. Basically we didn't see the whole process because (IMO) each groups only have abput 30 minutes inside. 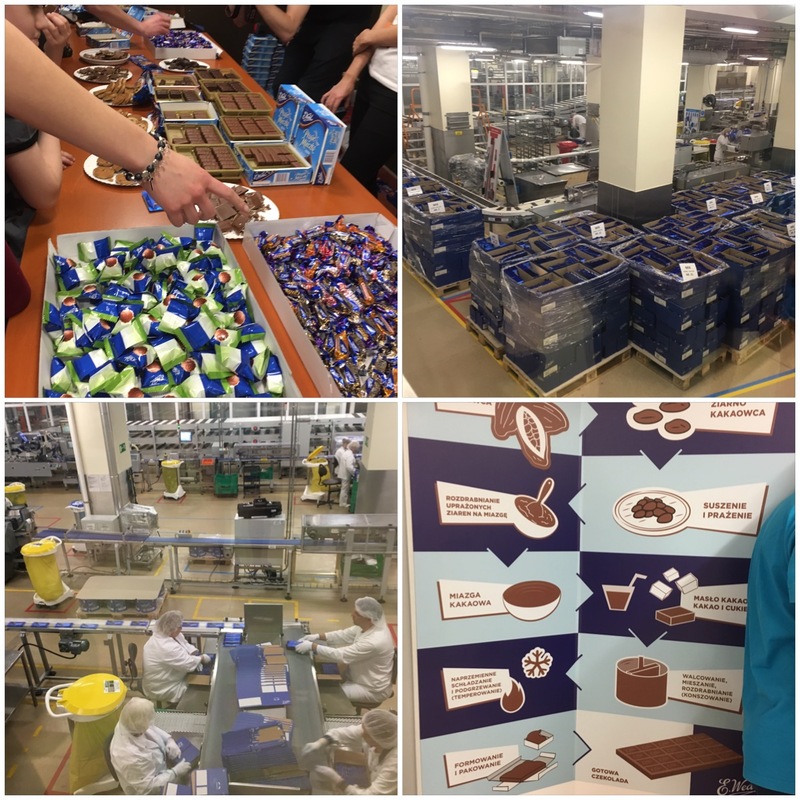 But they do have (looks-like) volunteers to explained how this factory really worked (of course it's all in Polish, so I just enjoyed the chocolate and keep took pictures. They do really serious having all these everything-made-of-chocolate like for an exhibition. So the smell of chocolate really filled the room. 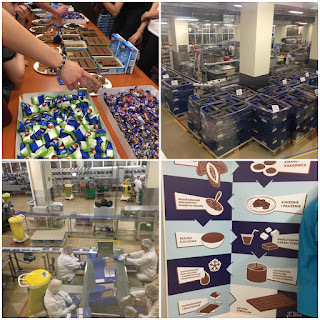 When were finished, I definitely not hoping that they will gave us "souvenirs", well, they gave us a chocolate bars each, and free to choose the flavoured, and balloon for children... yippppyyyyyyy, this is what I called a visit to chocolate factory. And I just wished I were there with more friends so we could take crazy pictures with their photo booth. Almost 10 means I still have 1 place to worth visit. Called a neighbour if she already in a queue in Belweder Palace, and yes the next 25 minutes I already in a another queue. This one felt like forever since today I've been standing for more than 6 hours and spending numerous clovers in Pokopang. And still to get in the palace I still eed another 2 hour-ish. Being the third last group to get in it around midnight (it is my long night at Warsaw!). Our tour leader even sounds exhausted. I don't know how many times did she repeat all of those words (90% of them are Polish words) that day. This Belweder actually a residential, for the President of the Republic of Poland. 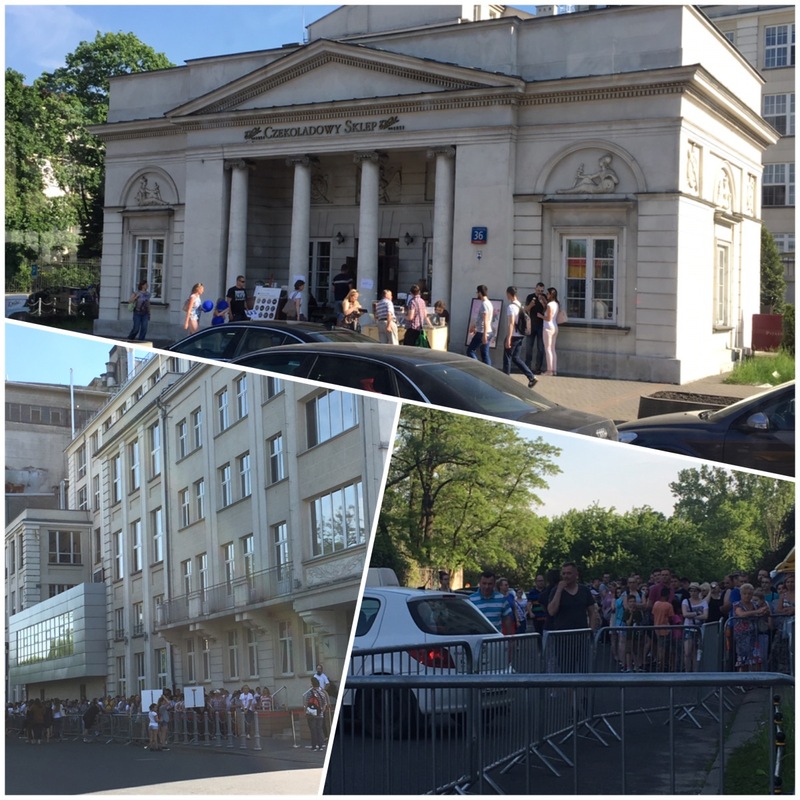 But according our tour guide, President Duda, the present President isn't live in here. So if you planned better and have all the information earlier... you probably may had chances to visits maximum 3 places (if you are that ambitious), or 2 places without getting really tired for standing in lines. I'll have to make myself sure that I'm ready for the next year. Jadi, beberapa hari yang lalu karena sudah kehabisan serial yang biasa di tonton, jadilah merandom mencari sesuatu yang bisa ditonton tapi yang tidak terlalu serius. 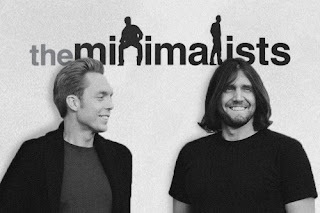 Lalu teringat, sempat baca di Twitter ada yang menilai kalau The Minimalists ini termasuk salah satu tontonan oke. So basically, dokumenter ini menceritakan tentang orang-orang, yang menurut masyarakat, adalah orang yang termasuk dalam kategori sukses. But somehow they're not happy, they feel empty inside, then most of the time fill the emptiness by buying things, more and more and more. Lalu orang-orang ini mempertanyakan ke diri sendiri sebenarnya sukses itu seperti apa? Own big house in a upscale residential area? But then have having all those things, why it feels like there are something missing. Lalu menurut dokumenter ini lagi, kebanyakan orang mengukur sukses itu memang dari materi, when they feel empty, they tend to buy things. But it won't takes time for them to feel it again, so they will buy more things. Waktu memutuskan beli bantal sebanyak ini memang karena suka aja... di kost-an dulu pun banyak bantal. Sebenarnya memang cuma butuh 2, 3 lah kalau ada tamu yang menginap. Hmm, sepertinya kalimat "kalau nanti butuh" ini yang selalu berujung akhirnya membeli barang-barang yang sebenarnya komplementari. Kenapa harus punya sound dock? Kenapa harus punya 2 handphone? Sudah punya 2 handphone kenapa beli tab pula? Kenapa kalau ke supermarket pasti beli makanan buat stok dan ujung-ujungnya ada saja yang kelupaan kalau sudah dibeli dan berakhir di tempat sampah karena keburu kadaluarsa? Kenapa sering beli macam-macam kosmetik padahal tau kalau diri sendiri paling malas perawatan pakai krim ini pakai krim itu? Kenapa selalu beli coklat dalam jumlah yang banyak padahal untuk konsumsi sendiri? dan masih punya coklat yang lain yang belum dihabiskan pula. Kenapa merasa harus punya coat untuk 4 jenis musim dan masing-masing musim setidaknya harus punya 2 biar tidak kelihatan orang-orang kalau kita pakai coat-nya yang itu-itu lagi, itu-itu lagi? padahal sebenarnya 2 saja sudah cukup. Walaupun sebenarnya kemarin sempat berpikir pas winter sale berikutnya harus beli 1 coat lagi buat persiapan. *what the!?!?!?!?!?!? Kenapa merasa harus punya banyak sepatu? harus punya boot untuk ke kantor, buat jalan-jalan di kota, buat kegiatan outdoor, buat ke acara semi formal, buat ke acara formal, dan itu baru satu jenis sepatu. Belum jenis lain, sneakers, 3 cm heels, 5 cm heels, flat shoes, sandals, running shoes. Belum lagi kalau mau mengkategorikan berdasarkan warna, biar matching dengan outfit. Same thing goes for bags. Same thing goes for clothes, but in a more complex categories. And I haven't mention for other printilan lain yang lagi terlihat di sekitar. I do tend to buy barang-barang "lucu" yang judulnya buat menghias apartemen atau buat nanti kalau-kalau butuh. Kenapa orang-orang jadi harus mempersulit diri buat mengambil pinjaman dari bank, buat beli rumah impian/apartemen dengan banyak ruangan. Padahal sebenarnya kalau seseorang lagi di rumah, persentase ruangan yang paling sering dijadikan tempat nongkrong adalah ruangan keluarga, kamar tidur, kamar mandi/toilet, dapur kalau rajin masak. Dan beberapa dari mereka akhirnya melepaskan rumah/apartemen lalu beralih ke rumah yang lebih, lebih kecil... literally lebih kecil... lebih kecil dari 35 meter persegi ini. Lalu melongo... kemarin aja agak-agak menyesal kenapa dapatnya 35 meter persegi... kan kalau nanti ada tamu langsung berasa jadi sempit (lagi-lagi kalimat "kalau nanti..."). Padahal dalam setahun ada berapa tamu sih yang datang... nah, iya sih. Trus tempat yang paling sering dijadikan tempat nongkrong sebenarnya cuma sofa di depan tivi... then why I thought that I need more spaces? Terus dokumenter ini jadi agak-agak melipir ke masalah lingkungan... karena tingginya tingkat konsumsi manusia berdampak langsung dengan lingkungan. Melirik ke kantongan plastik/kertas yang setiap belanja apapun pasti minta... lalu menyesal seharusnya tidak boleh lupa buat bawa kantong belanjaan sendiri setiap hari. Akhirnya 2 hari terakhir ini, berujung dengan kegiatan beres-beres apartemen, merelakan beberapa barang untuk dibuang, merelakan beberapa pakaian untuk disumbangkan... tapi masih tidak rela buat melepaskan banyak barang dan sebagai pembenaran cuma bisa berpikir, barang-barang lain nanti saja direlakannya... setahun lagi. Lalu berniat no more buying clothes, no more buying cosmetics to try, no more beli cemilan-cemilan, no more belanja yang tidak penting! (sebaiknya menunggu winter sale nanti #eh) and always put grocery bag in my bag, whether I plan to use it that day or not. The Minimalists ini bukan tontonan yang tidak terlalu serius. Petite. Travel. Food. Curious one.